ACC is the largest cement company in India which was established in the year 1936 and has its headquarters in Mumbai. ACC Limited was formerly known as 'The Associated Cement Companies Limited'. ACC is one of the largest cement companies in India. They are the largest cement manufacturer in India. Cement House is their registered office. The stock price of this company contributes in calculating BSE Sensex. ACC company is the only cement company to get Superbrand status in India. They have 12 manufacturing units across India and they are well known for their quality. This company takes the award for manufacturing best cement and has been listed in BSE and NSE. There are more than 10,000 employees working in this organization. ACC cement is one of the best cement in India. Ultra tech cements is part of of Aditya Birla group and division of Grasim Industries which was started in the year 1987. Their head office is located in Mumbai. They are expertized in manufacturing the best quality cements. Ultratech cements have their company listed in Bombay and National stock exchange. Ultra tech cement is one of the best cement in India. Ultra tech cements is India's biggest cement company in India and India’s largest exporter of cement clinker based in Mumbai, India. UltraTech cement brand has also been awarded the Superbrand status. Jaypee cements belong to the Jayaprakash associates limited which is popularly called as Jaypee group. This company was established in the year 1979 and has its headquarters in Noida. They manufacture various quality cements. They have their manufacturing units in 10 states across India. Jaypee group is one of the top 10 cement companies in India. Their cement facilities are located in the Satna Cluster (M.P.). It has one of the highest cement production growth rates in India. Ramco cements where initially called as Madras cements incorporated in the year 1957. It is one of the most reliable cements and has its headquarters located in Chennai. It is the flagship company of the Ramco Group. There are more than 2800 empolyees working in this concern and they produce a very high quality cements. Ramco cement is one of the best cement in India. It is one of the top 10 cement companies in India. Ramco also produces ready mix concrete and dry mortar products and operates wind farms. They manufacture and market Portland cement, blast furnace slag cement, white cement and Pozzolana cement. They have production facilities at Alathiyur, Chengalpet, Kolaghat, Medavakkam, Sriperumpudur, Vijayawada, Virudhunagar and Vizag in India. It opened its first windfarm at Muppandal in 1993. JK cements was started in the year 1975 in Rajasthan. They are succeeding by updating to the latest technology and very popular for manufacturing Wall putty. They are the second largest company manufacturing the white cement and leading company for manufacturing Wall Putty .It is an affiliate of the multi-disciplinary industrial conglomerate J.K. Organisation(founded by Lala Kamlapat Singhania). JK cements are also the second largest producer of Wall putty in India. Ambuja Cements Ltd (ACL)is one of the most popular cement company in India. Ambuja cements started its journey in the year 1983 in partnership with Suresh Neotia and has its headquarters in Mumbai. They are also listed in BSE and NSE. Ambuja cements are quite famous for technical manufacturing of variety of cements. Ambuja cements is a part of a global conglomerate Holcim. The company was formerly called as Gujarat Ambuja Cements Ltd. It was founded by Narotam Sekhsaria. Global cement major Holcim acquired management control of Ambuja cements in 2006. They have also made strategic investments in ACC Limited. Ambuja cement is one of the best cement in India. India cements was established in the year 1946. It is the one of the largest cement company in India with many manufacturing units and leading production. There are more than 7500 employees working in India cements and this is one of the most trusted brands in Indian cement market. India Cements owned Indian Premier League franchise Chennai Super Kings during the period 2008 to 2014. India cements is one of the best cement in India. Shree cements was found in the year 1970. They are the largest manufacturer of cements in North india. They are well known for their quality of cements they produce. They are also a tough competitors for the other brands in the market. They have a very large manufacturing units and keep updating themselves with the latest technology and the quality. They keep improving the quality of the products according to customer reviews. Binani Cement Limited is engaged in the production and sales of cement and clinker based in Mumbai, Maharashtra, India. Their cement is one of the best cement in India. It is the flagship subsidiary of Binani Industries Ltd.
Burnpur Cement Limited is one of the largest cement company in Eastern India. The company has a plant in Asansol, West Bengal, which started functioning since 1991. Their cement is one of the best cement brands in India. Prism cements was started in the year 1997. They are the leading cement producer in North India and also leading PPC producer. They have earned many awards for the quality they provide. They are one of the largest company India and Portland cement is the signature product of the company. It produces one of the best cement in India. Cement Corporation of India Limited, also known as CCI is a public-sector undertaking of the government of India. CCI was incorporated as a wholly government-owned corporation. The objective was to to set up cement units in public sector to help achieve self-sufficiency in cement production in the country. The corporation manufactures various types of cements, such as Portland pozzolana cement, Portland slag cement, and ordinary Portland cement of different grades. Cement Corporation of India Limited is based in New Delhi. CCI currently has 10 operating units spread over seven Indian states and union territories, with a total annual installed capacity of 38.48 lakh MT. JSW Cement Limited is a subsidiary of JSW Group based in Mumbai. It has three Cement production unit. They lead the way in promoting Portland Slag cement variant of cement in South India.They are also known as green cement as it generates least amount of CO2 during production and also generates least heat during concreting. Its cement is one of the best cement in India. Kesoram Industries Limited is one of the top cement companies in India. 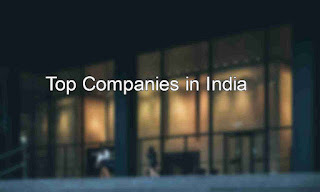 The company is under the flagship 'B K Birla Group Of Companies'. They produces tires, cement and rayon. Their cement is one of the best cement in India. Mysore Cements Limited is also known as Diamond Cement. It is one of the best cement company in south India. The company was establised in 1958 - 59. Hope this article had given you good information about the best cement in India - Top cement companies in India - Cement industry in India that are available in India.